Ask the questions they didn’t – Marc MacYoung – Conflict Research Group, Intl. If you don’t ask specific questions, you won’t get important information. This simple statement has bigger implications than you might think. Often this ‘missing’ information, is something that if people knew, it might change their minds (or undermine the narrative the questioner is pushing). This makes it incredibly important for people-trying-to-sell-you-a-narrative NOT to ask certain questions. See if they themselves don’t ‘know’ (or refuse to acknowledge whatever-it-is is an issue) then they can be VERY convincing about their narrative. In many cases, almost religiously fanatically so. To explain this, let’s talk about 1) using research as a source of authority and 2) the research itself. But the other edge keeps them from getting cut. It’s important for them not to question research either. If they ask, “what questions weren’t asked,” they risk undermining what they are using as the foundation of their righteous cause. This brings us to the people doing the study. Although soft fields try to use ‘scientific methods’ there’s a big difference between hard and soft ‘science.’ To the point that most hard scientists I know get twitchy about calling some of these fields ‘science’ in the first place. (As in, let’s call them ‘fields’.) Between issues of funding, desired results and outright academic fraud there’s growing public doubt about many studies. 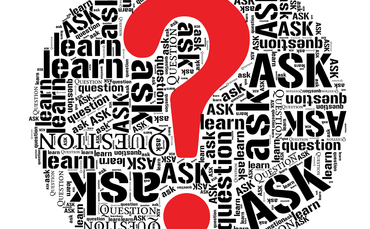 Questions that could both blow your desired results and have results other than who is paying you wants. This is technically different than lying or deliberately holding back known information. It’s more a “don’t ask, don’t tell’ with a “If I don’t ask I can honestly claim my research shows…” spin thrown on it. You could think of it as plausible deniability if you want. At the same time if you never ask certain questions, you are shielded by the questions you did ask — and the authority of, if not science, research. 1- Does the ‘victim’ have a criminal record? 2- Was the victim involved in criminal activities? 3- Was the victim living with/in proximity with someone who was 1 and 2? See bad news for the narrative. It’s not about age or race per se, Usually homicide is about being a violent criminal and/or around violent criminals. News flash, gangbangers shoot gangbangers — and they’re often under 21. There’s a huge chunk of your ‘child’ deaths. Yes that innocent 5 year old child or baby mommy (who herself is still a teen) wasn’t a gang member. But the baby daddy they were next to when the drive by happened is. These three questions throw a complete wobbler into any study or statistics about age, race, guns and ‘victims.’ All of a sudden things get WAY more complicated than those simple narratives. Which hey, real life is. But if you are a researcher and you want to keep your funding coming, you have a hard choice: Intentionally don’t ask questions that would give undesired results or risk your funding — and your job. Is it lying? Welllllll… technically no. But it’s sailing awfully close to the wind. After all, you can show your research methodology. Think I’m making this up? This has been a well known problem inside academia, business and government for a long, long time. However, the general public still has faith in science and institutions — sometimes to the point of scientism and … well, I don’t know what to call it, but it’s the belief that you can get the government to force others to do what you want and somehow, magically, you won’t create an authoritarian system. Scientism is easy to explain their credibility. If for no other reason to get funding, but often there’s a large getting new laws passed that most people don’t see. So here’s the point of all this. Start asking the questions these folks aren’t. When someone comes in and starts promoting a narrative, dare to ask them the question of “What questions weren’t asked to arrive at this conclusion?” Or find specific questions that force them to acknowledge they didn’t ask certain, important, questions. It works well with both positions and studies.